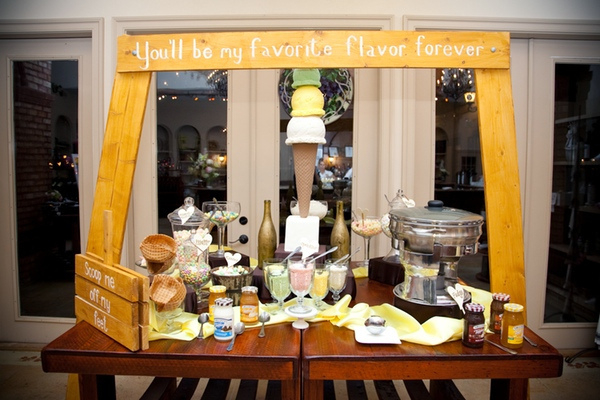 Chelsea and Nick’s wedding actually started with Ben and Jerry. My very beautiful and gorgeous bride apparently eats a lot of ice cream. I’m not quite sure how she does that and looks the way she does but it’s true. 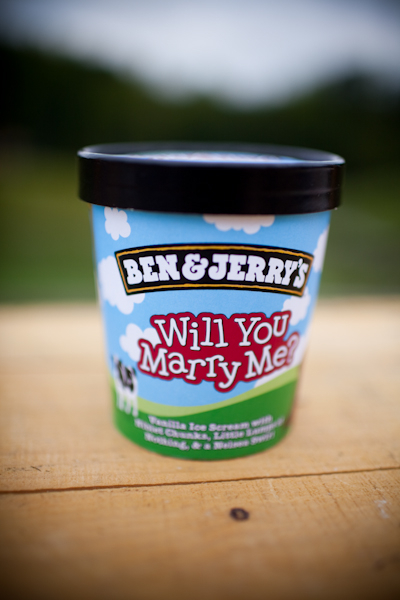 Because the couple shared a love of Ben and Jerry’s ice cream the marriage began with a proposal via Ben and Jerry. 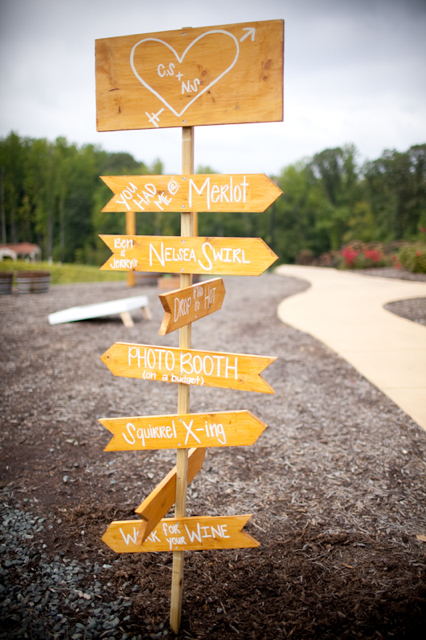 The couple married at the Aguia Episcopal church and the reception was held at the brides vineyard The Potomac Point Winery in Stafford. 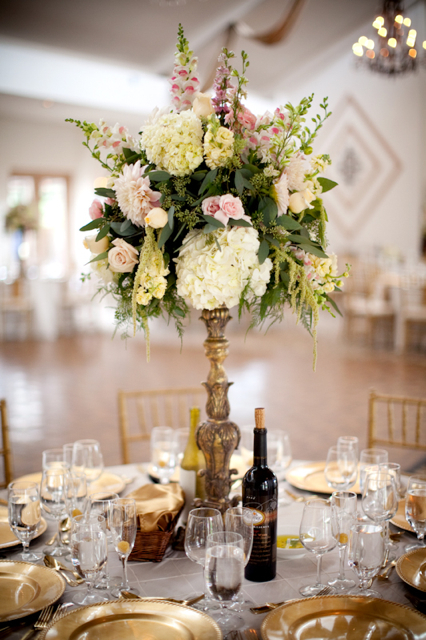 The theme of the day was ” wine, love, and ice cream.” Every detail was perfectly captured by Genevieve Leiper and many of the fabulous details were created by the bride and her mother. 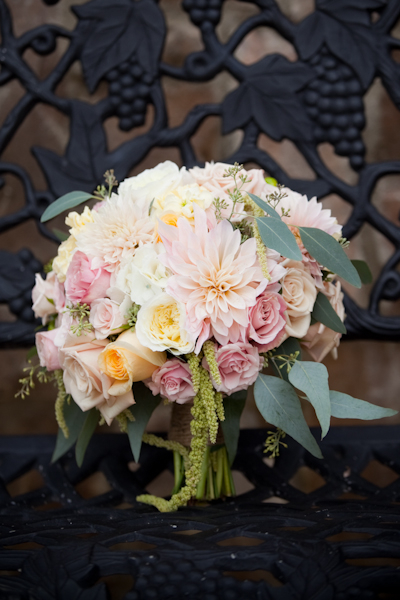 The bridal bouquet was created with cafe au lait dahlias ( which seemed to be the favorite flower of 2011,) pale pink spray roses, hanging green amaranthus, pale yellow stock, white hydrangea, cabbage roses and green seeded euc. 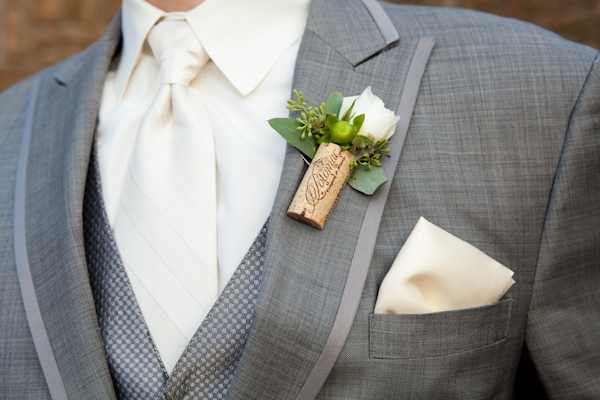 The grooms boutonniere was created with a cork from the vineyard. 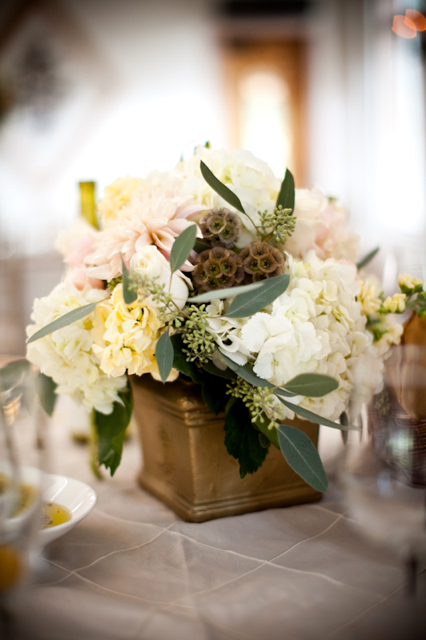 Centerpieces were created with hanging green amaranthus, cafe au lait dahlias, snapdragons, roses, stock, larkspur and hydrangea. 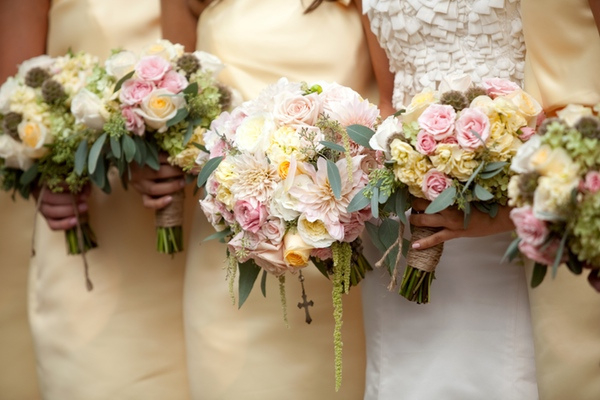 We also added green grapes and scabiosa pods into the low designs. 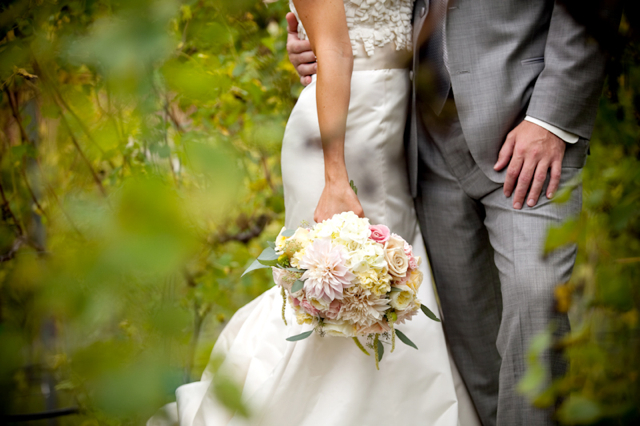 I was so honored to have worked with this beautiful couple and I absolutely loved designing at Potomac Point Winery. Happy married life Chelsea and Nick. Eats lots of ice cream and stay happy!! What a fun wedding! Beautiful! 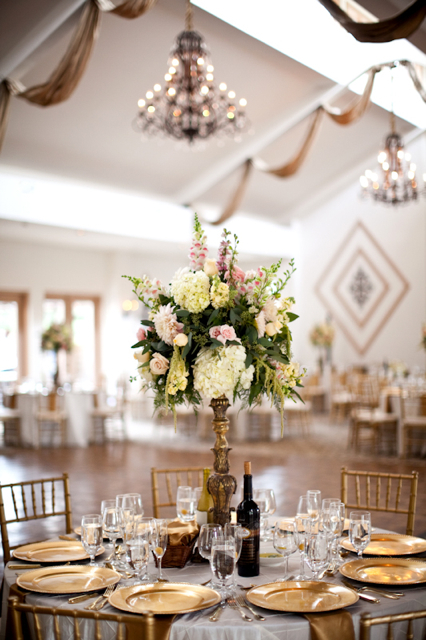 I absolutely loved everything about this wedding. 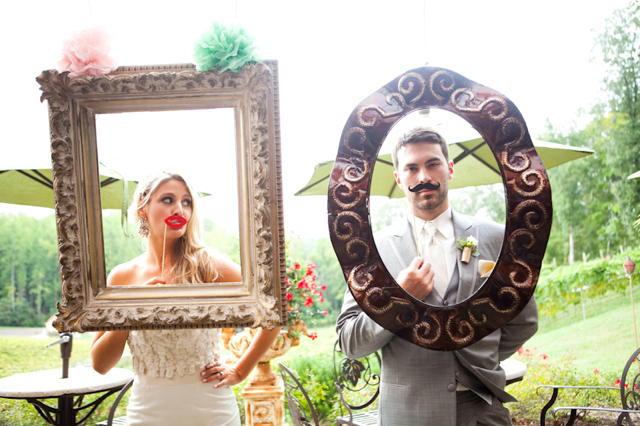 from the fun and flirty proposal to all the fun props and personalities — love it. Hi! Lovely post. 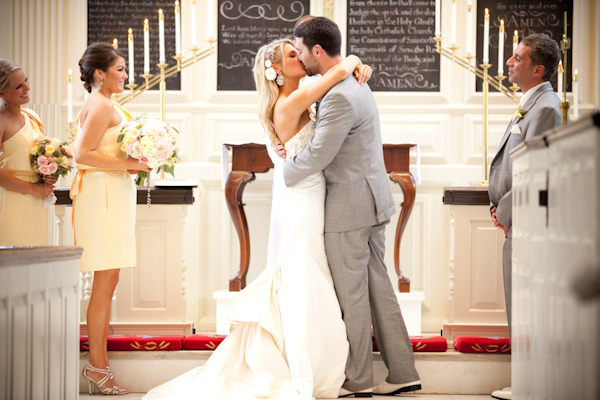 Is there any way of finding out where the bride’s dress is from? 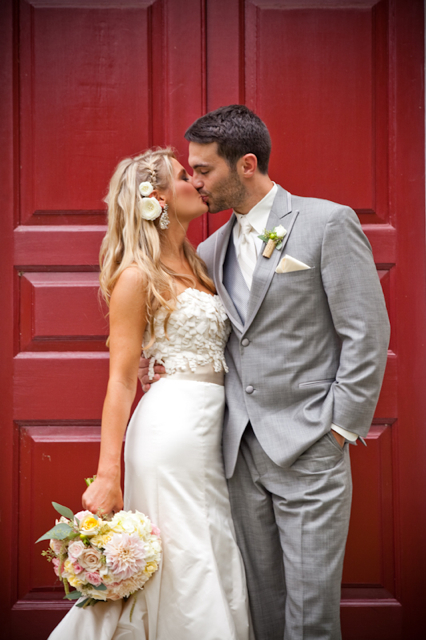 The Gown was a Alvina Valenta, purchased at Katherine’s Bridal Boutique in Alexandria. Thank you so much for responding Holly!